Dublin Port Company (DPC) has poured cold water over plans to bring a new film studio to south Dublin. 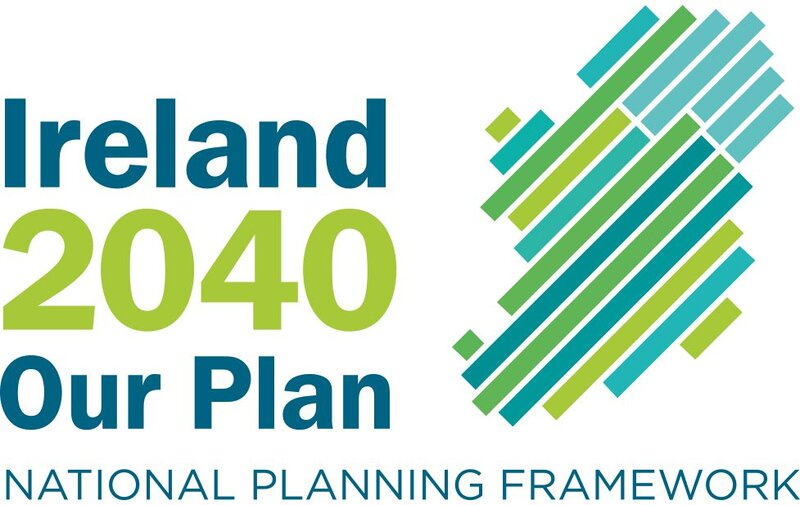 DPC has published a report on the public consultation process for the first review of its Masterplan 2012-2040 which reached out to local residents, political representatives, local businesses, community and environmental groups. "There was one submission supporting the location of a film studio in the Port Estate. This submission was lodged by the project promoters," the review of the consultation process stated. "No submissions were advanced which advocated the transfer or surrender of port lands for non-port purposes. Specifically there were no third party submissions advocating the development of a film studio on port lands in the Poolbeg Peninsula. The submission lodged by the promoters of the film studio proposal provided no detail or information on how their proposed project could be reconciled within the context of the issues identified within the Masterplan Review Paper," the report added. This space will be used for, "core port purposes as an alternative to additional infill proposals." 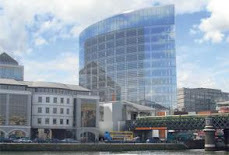 In January, Dublin City Council (DCC) revealed plans to build a new mini-town in this area. Its 'Poolbeg West' development south of the Docklands beside Ringsend, will have space for 3,000 new homes. When those plans were announced in January, Dublin Bay Studios reiterated its hopes to build a production facility. It said that the studio would create 1,800 direct jobs and a further 1,800 indirectly. There is still a possibility that alternative plans could bring a production facility to the area. "The Studios continue to receive overwhelming support and we are very committed to delivering on this project because we believe it is in the national interest. Not only will it support the regeneration of Dublin’s inner city, it will also act as a catalyst for growth in the creative industries, creating thousands of jobs and putting Ireland on the map internationally for film, TV and digital content production." The proposed development would be situated on part of the Poolbeg West SDZ area which has been classified as not suitable for housing. A spokesperson from Dublin Bay Studios added: "It is our understanding that there were in excess of 40 public submissions in support of the development ... In his report on the Poolbeg West SDZ public consultation process, the Chief Executive of Dublin City Council noted that there was a ‘significant’ number of public submissions in support of the Studios." Heritage body An Taisce is seeking urgent action from Dublin City Council to halt the dereliction of the historic Iveagh Markets, which were to have restored as part of a €100 million redevelopment scheme. Temple Bar hotelier and publican Martin Keane had been due to start work two years ago on an ambitious project to redevelop the late Victorian market on Francis Street in the Liberties, along with the former music venue Mother Redcaps, as a hotel, restaurant and food market complex. Article by Diarmuid Cronin, a registered RIAI architect and director of Cronin Architects, on how an RIAI architect can help you to secure planning permissions. An architect and Irish Planning Institute accredited planner team can ensure a design specialist is partnered with a planning specialist. Q We are planning a biggish extension and understand that anything over 40 sq m requires planning. Could you take us through the planning process? How long will it take and what happens if someone challenges it? A Thank you for your query. Firstly, you are correct that extensions over 40 sg m (approximately 400 sq ft) require planning permission under current planning and development regulations. It's worth noting that extensions up to 40 sq m can cover a surprisingly large amount of domestic projects which are exempt from planning. (This is within certain criteria, including the location of the extension and minimum distances to boundaries as well as other factors.) This should be advised further by an expert. Your process should begin with engaging a qualified professional for your project. A registered RIAI architect is the most appropriate professional for such a task, as she or he is best qualified in the necessary skills to maximise the potential of your home and to achieve an exciting design, while meeting the needs of your brief. This step is critical, not only in terms of design, but also in guiding you correctly through the planning system and the many other statutory requirements involved. Achieving planning permission is sometimes perceived as the focal point in a project, and means that design can often be overlooked or rushed in an effort to 'get planning'. But the importance of design cannot be over-emphasised - your extension is likely to be space that you (or someone else) will live in for many years to come and should therefore be given due care and attention! Local Authority Development Plans and zoning - these documents generally set out what is allowable for the area within which the site is located and provide development guidelines such as setback requirements, access, distance to adjoining properties and more. Existing planning history - previous planning decisions which may impact on what would be permitted; e.g. was permission previously refused for a specific reason? Title/consents/wayleaves/rights of way - legal issues with the area of a proposed extension. Does the proposed extension encroach on an area outside of your ownership? Is there a right of way that should be known about? Boundaries/adjoining properties - ensuring certainty on boundaries to the property. Is a particular boundary wall a party wall or is it fully contained within your site? How should these be dealt with? Levels and site features - accurate site levels for a proposed extension. Does the proposed floor level suit these? Services and drainage - existing drainage and services in the vicinity of an extension. Are there overhead phone lines which will clash with the extension? Is there an ESB supply to the existing house which will require relocation as a result of the build? Built heritage/protected structures/archaeology - is the existing house a protected structure or listed within the Local Authority Development Plan? Is the site located within an area of archaeological interest? The array of items required with your application will be listed with the planning authority and include: application form, fee, public notices, (newspaper and site notice), six copies of drawings and any other necessary documents specific to the project. [The process is very complicated and technical - you may need a planning consultant]. The application period is normally three months, made up of a minimum of eight weeks (from validated application receipt) to issue of a decision and then a further four weeks (called the appeal period) for issue of a final grant. A final grant is issued if no appeal has been made to An Bord Pleanala and where the authority has not already issued a decision to refuse. It is not unusual for planning authorities to request additional information during the course of the application. This resets the clock where a decision is then due four weeks from receipt of the additional information. [Planning consultants are trained to answer all questions on these details]. A third party can challenge a decision of the planning authority by appeal to An Bord Pleanala. The grounds of the appeal must also relate to planning issues only. On what basis can a challenge be made? Issues may range from overlooking or overshadowing to loss of a view, access, impact on an adjoining property or concerns over noise and dust. They will normally be considered within the context of the development guidelines laid out in the relevant Development Plan or Local Area Plan within which the site is located. [You may need a planning consultant]. Fees for architects are typically based on a percentage of estimated building costs or an agreed lump sum. This is dependent on size and complexity of the project. For example, an extension to a protected structure involves much more work and detail and should be carried out by an architect with expertise in this area (such as an RIAI Grade I, II or III conservation architect). Other application-related costs to expect are newspaper adverts, Ordnance Survey maps and the local authority application fee, which together normally cost in the region of €150-200. All being well, you should receive your permission and move on to the next step of your project. The very best of luck! If you are considering changes to your home, work with a registered architect. You can find a registered architect on riai.ie, the registration body for architects in Ireland. [You can find a registered planning consultant at Irish Planning Institute (which is also the accreditation body for the planners who will assess your planning application)]. A six storey 72-bed apartment block planned for the North Strand has been refused planning permission by Dublin City Council following opposition from Irish Rail and local residents. The proposed apartment complex was to be on the site of Leech Paper factory, Shamrock Place, Dublin 1, beside the North Strand canal. The large development would have backed on to a railway line, with Irish Rail arguing the developers’ plans were ignoring safety concerns. Remcoll Capital, a new property investment company based in Swords, Co Dublin, was behind the project. It was set up in late 2013 by Paul Collins (53), who previously ran a construction firm Coolfadda Developers, which went into receivership after seven years of trading in 2009, and was wound up in 2014. Planning permission has been refused for a 152-bed student accommodation scheme in Drumcondra in Dublin. The four-storey apartment project was planned for beside the Mater Dei Institute of Education teaching college on Clonliffe Road. The developers sought permisison from Dublin City Council to demolish five existing houses, one of which was a protected structure. Almost 30 local residents submitted objections to the proposal, expressing concern over the size of the structure and the impact the increased student population would have on the area.